Home / Astronomy / Orbital Space Station on Moon? Orbital Space Station on Moon? Recently the countries – partners in the project for the International Space Station ISS said they plan to build orbital station on the moon. This orbital station on the moon will make the first step in research in deep space, said Irina Romanova (chief press officer of the space corporation universal corporation – Energy). Started discussions, ideas and plans for possible performance and the necessary elements for this space platform. We hope that in the first half of next year our proposals for the construction and operation of the station will be submitted to the leaders of the partner agencies of the International Space Station, said Irina Romanova. Orbital station on the moon is designed by the Russian Space Agency in 2007. 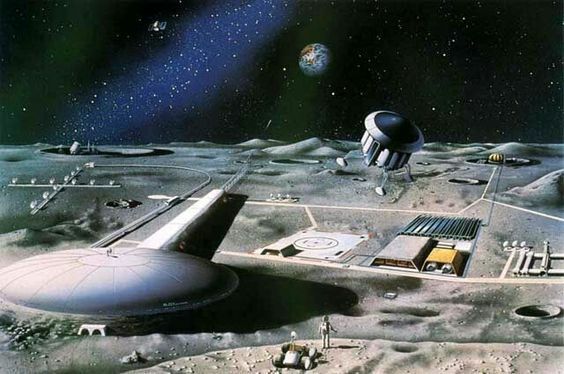 This station is just one part of the planned two infrastructures of the moon. The other part is based on the lunar surface. This expensive project is planned to build around 2030. This program is of great importance and strategic goal for Russian Federal Space Agency in these space missions. All these projects are provided for exploring the moon.